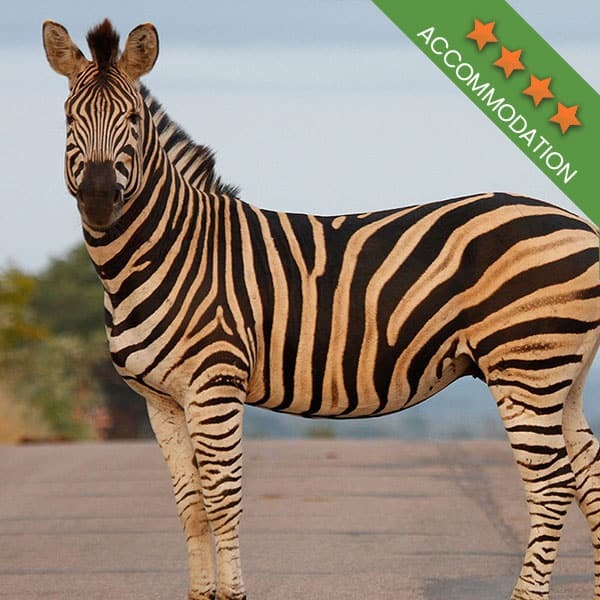 There are truly so many options for locals and tourists alike when looking for accommodation in the Kruger Park. 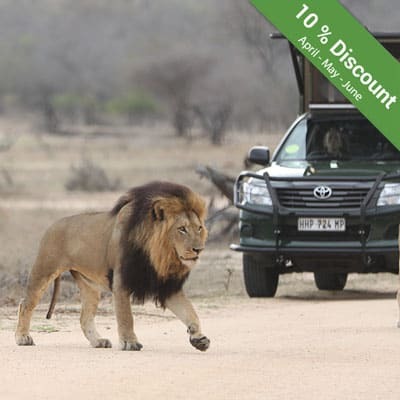 Your perfect option would depend mainly on the area of the park where you would like to be based, or you could book your accommodation at various camps if you want to explore a large area of the Kruger Park. It’s difficult to say where exactly the best place to stay in the Kruger Park is because it is so large and has so many different kinds of plant life in different areas, each attracting different species of animals and, in turn, different predators as well. Some predators are territorial, so it helps if you book a safari with experienced guides who know the Kruger Park well. 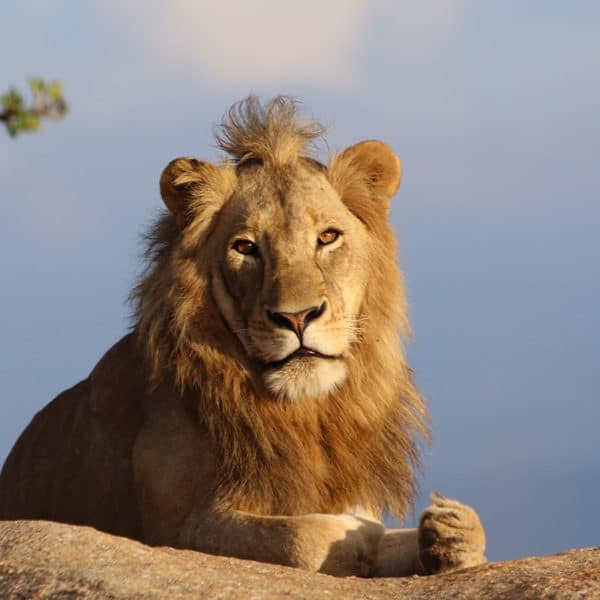 If you’re having trouble deciding on where to stay, contact Kurt Safari Co and one of our friendly consultants will assist you in booking the perfect accommodation in the Kruger Park or at one of the many great lodges in the surrounding area, depending on your preferences. The plant life in the Kruger National Park is characterized by mixtures of Savannah, thornveld, and even woodland Eco-zones. Many large African mammals like Elephant, Lion, Leopard, Buffalo, White Rhino, Hippopotamus & Giraffe are present, but that’s only a small percentage of the wildlife in the Kruger National Park. It is the largest national park in South Africa and home to an impressive number of species. There are about 147 kinds of mammals, 336 different kinds of trees, 49 species of fish, 34 different amphibians, 114 kinds of reptiles, and 507 bird species, not to mention all the insects. The world-famous Kruger National Park gives people all over the world an unforgettable wildlife experience, some might even say it’s the best in Africa. 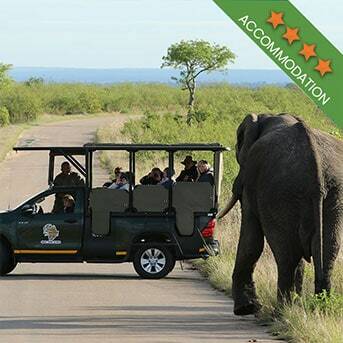 There is also world-class accommodation in the Kruger Park and surrounding areas, adding to its universal popularity. It was established in 1898 with the sole purpose to protect the wildlife of South Africa. It is a beautiful and vibrant national park, nearly 2 million hectares in size. 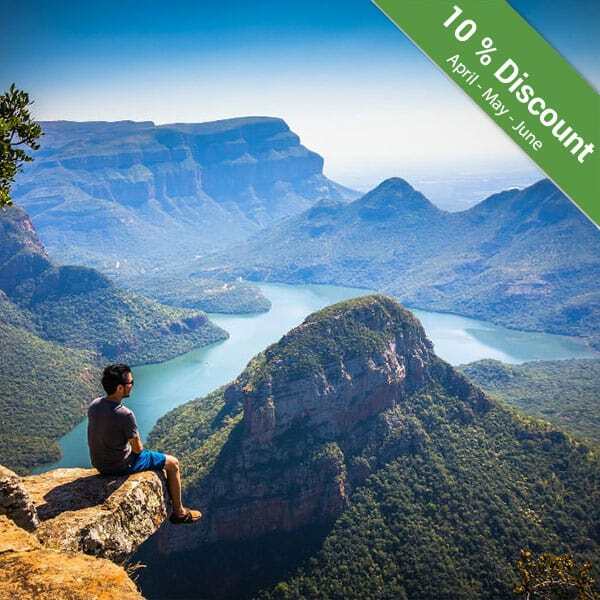 SANParks (South African National Parks) is unparalleled in the diversity of wildlife and an absolute world leader in progressive environmental management techniques and policies. The recommended way to travel to the Kruger National Park is to fly into Skukuza airport from Johannesburg or Cape Town. Kruger Mpumalanga International Airport (KMIA) is another option as it is situated almost equal distances from White River and Nelspruit; both towns are near the Kruger Park. Flights are more expensive to KMIA than flying directly to Skukuza. Contact Kurt Safari Co to plan your ideal holiday in Mpumalanga. The Kruger has 12 main rest camps, 5 Bushveld camps, 2 Bush lodges and 4 Satellite camps. All accommodation in the Kruger Park, as well as activities, bookings, and payments, can be arranged through Kurt Safari Co. The main camps all have camping facilities, but we recommend booking bungalows or rooms as setting up tents can take up valuable time that could be spent on game drives. Catel Baron, Mugg & Bean, Wimpy & Debonairs are in various rest camps in the Kruger Park and they will ensure good meals and affordable food all over the park. An average breakfast can be between R50 to R120 and dinner between R80 to R220 per person. When you book overnight tours in the park, we usually stay over in the rest camps. If you would like to experience a bit more rustic adventure, you can try the Permanent Safari Tented camps in the Park like Tamboti Tented Camp. Mostly, we travel in the Southern to Central Regions in the park. This can include camps like Skukuza, Satara, Tamboti, Orpen, Lethaba, Olifants, Lower Sabie, Pretoruiskop, Berg en Dal & Crocodile Bridge. If we travel more northwards, we frequent camps like Mopani, Shingwedzi and Punda on request. Rest assured, all rest camps have swimming pools, shops and restaurants. Skukuza main camp has an FNB (First National Bank), WIFI at the restaurant and a post office if needed. 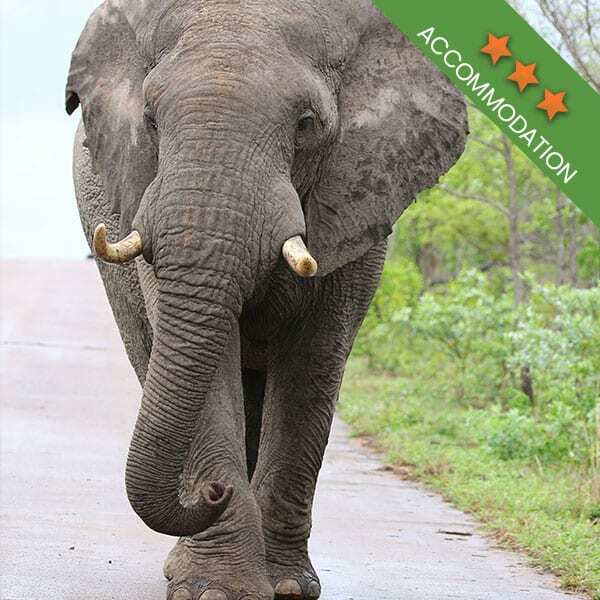 Our clients are always very pleased with the accommodation in the Kruger Park. Camps are surrounded by electric fencing to ensure the safety of visitors, but the fences cannot keep the bird and monkeys out. In the evenings, you can walk around the camp with a flashlight in search of some nocturnal animals, like Hyena and Genet or even some owls and bush babies (night monkeys). The sounds of the bush at night is an incredible experience, free from traffic sound pollution and under the most beautiful starlit skies. Fruit bats and many other species fly around at night and you can hear their echolocation peeping sounds. You might even hear the roar of a lion, or the woo of a hyena, if you’re lucky, you’ll hear the howling of jackal as well. It is also a bird lover’s paradise, as the bird life in all the camps is in. You can spend some time in the middle of the day when not on safari to do some bird watching. Kurt Safari Co can custom make a tour package for you that combines full-day, half-day and night time game drives, as well as bush walks and a variety of other activities and tours. We take clients on the Panoramic Route through towns like Sabie, Graskop and Pilgrims Rest. Contact Kurt Safari Co today and book your holiday in Mpumalanga.